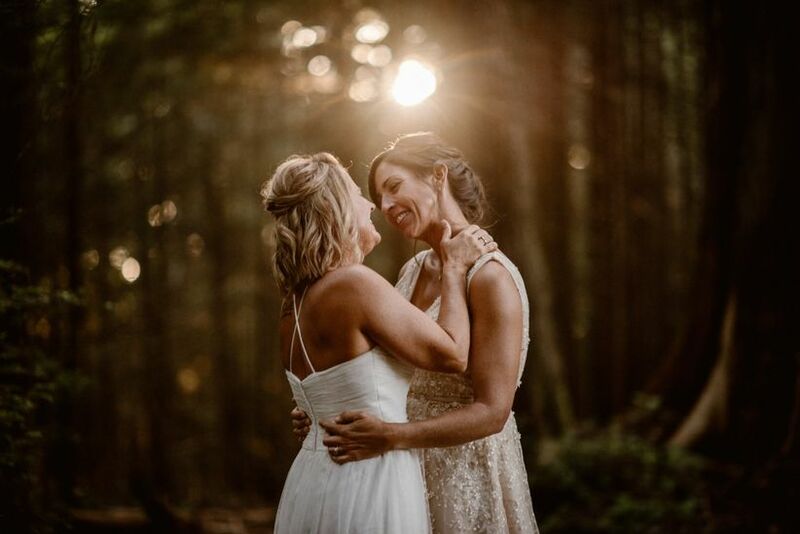 While many brides-to-be are busy growing their luscious locks in hopes of having princess-like hair on their big day, some are busy figuring out the best wedding hairstyles for short hair. 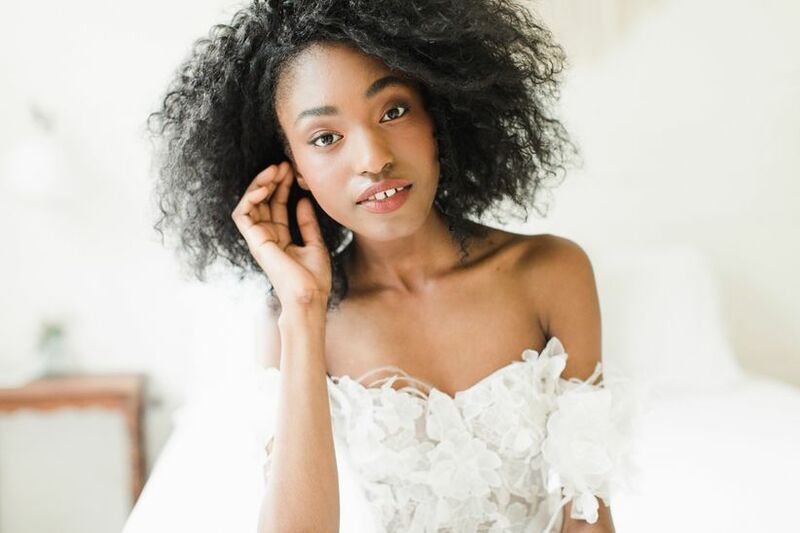 With less hair to work with, you may feel stuck in your styling options, especially if you’re looking for something special and different than your normal look, but trust us — there are so many ways to spice up a short hairstyle! 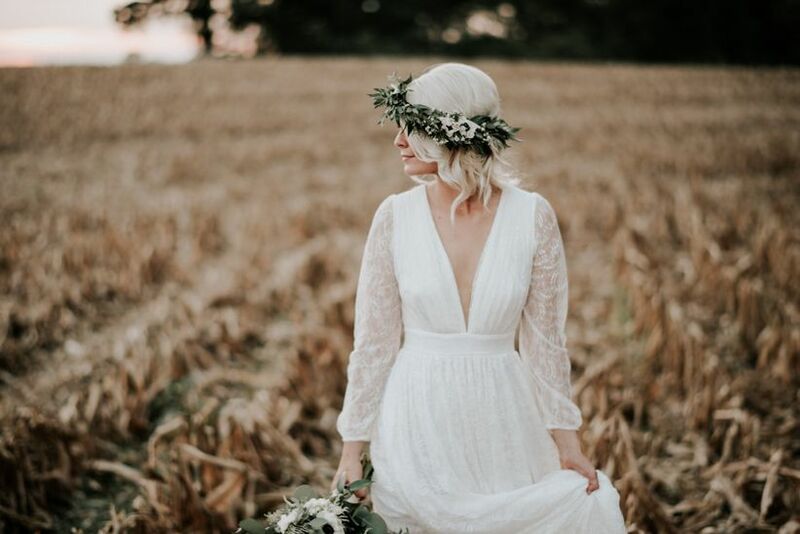 Whether it’s an added touch, such as a flower crown, headpiece, or barrette, or a new way of styling, such as a half-down look or an updo (yes, they are possible with your lob! ), the options are plentiful. 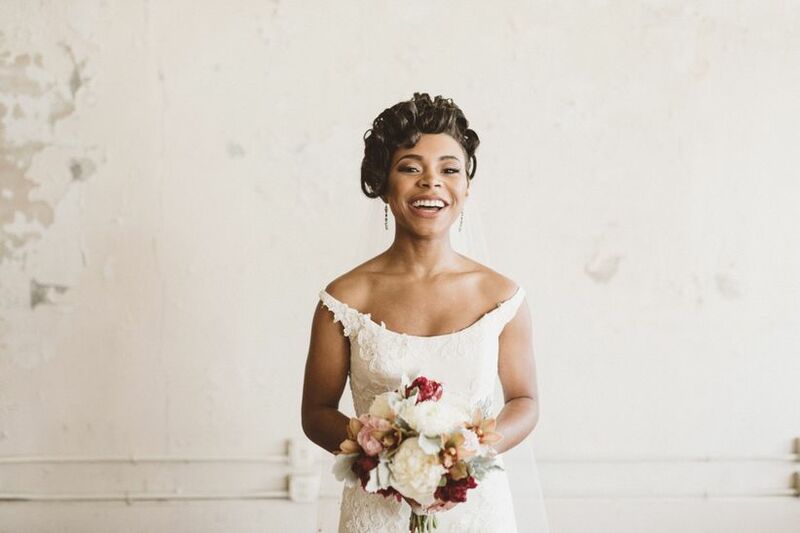 Just look at how these brides rocked wedding hairstyles for short hair. 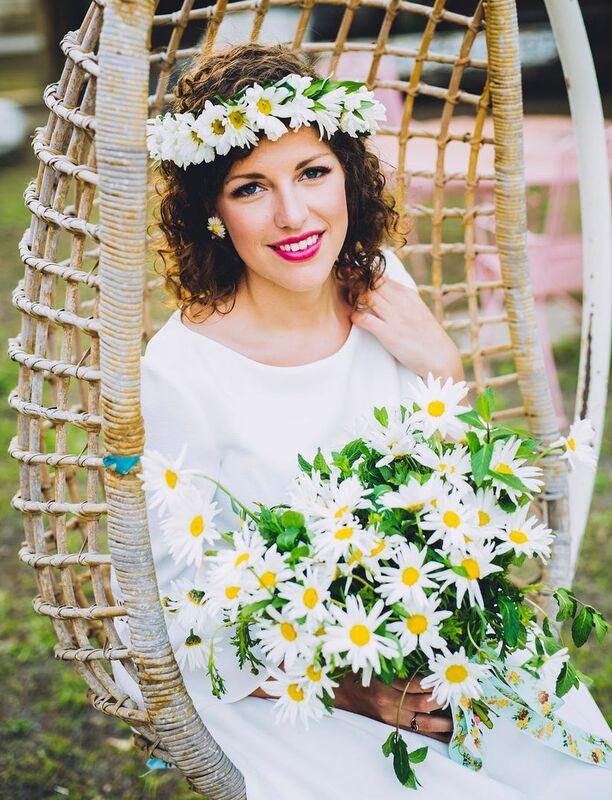 Curly hair and a wreath of daisies create pure sunshine for a summer wedding. 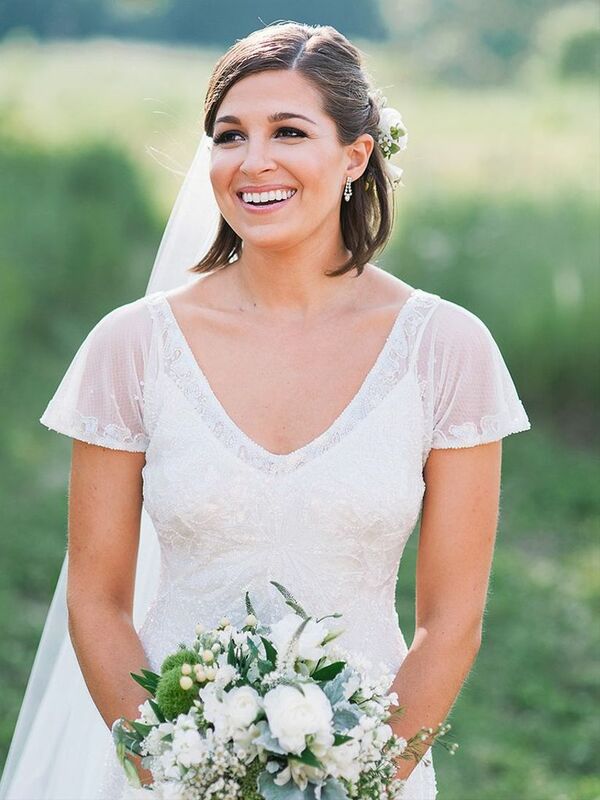 A subtle crown of buds and berries in a green palette adds a natural touch to this sassy wedding hairstyle for short hair. 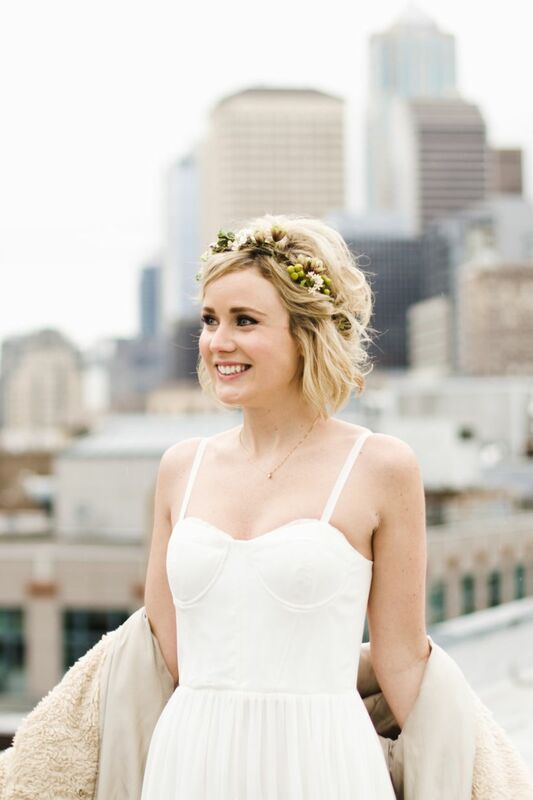 A lush crown of greenery makes a statement atop a side-swept platinum lob — we can’t get enough of this indie style! 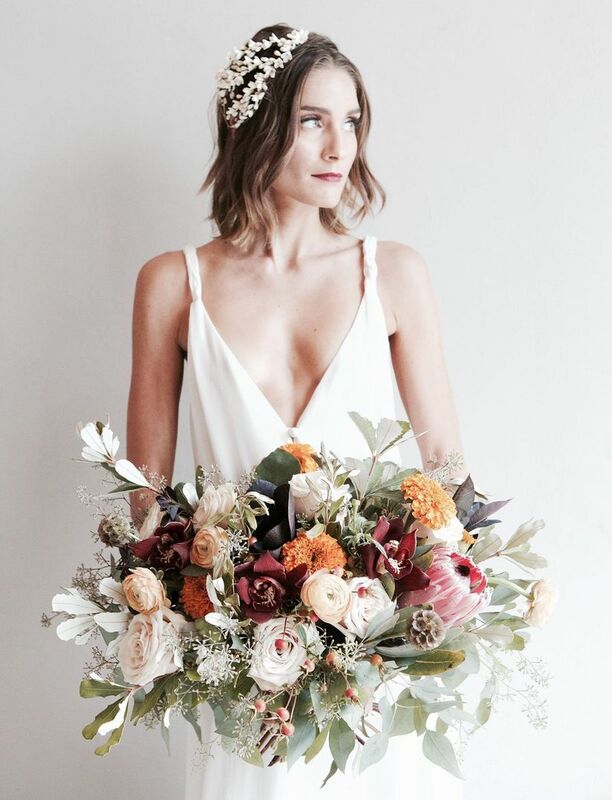 A minimalist blunt bob gets a maximalist touch with a bodacious wreath of blooms. Choppy, wavy locks get accented with a gilded headband for a decadent bohemian look. 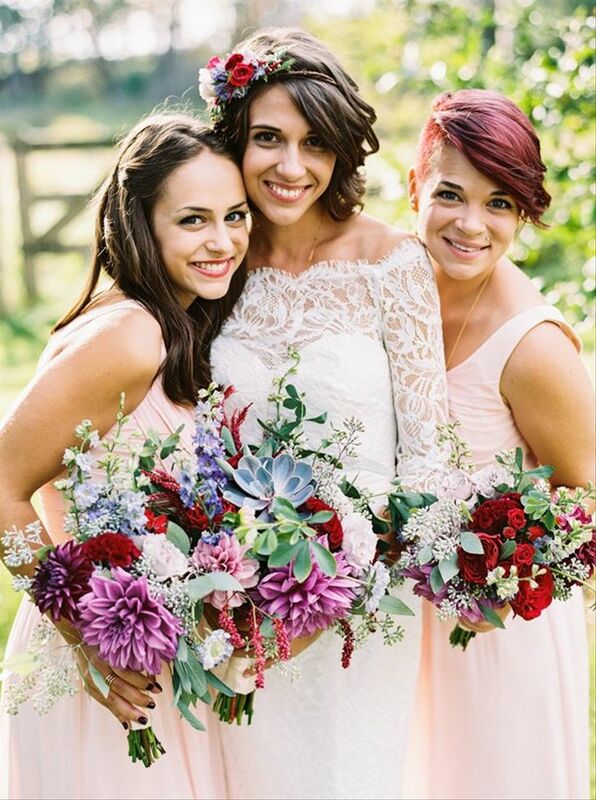 A headband adorned with bold blooms pops against tousled layers while echoing the bride’s gorgeous bouquet. 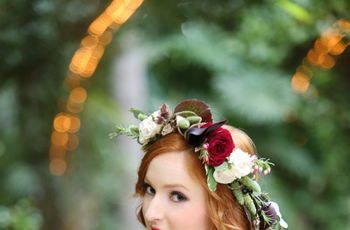 Situate your headpiece further back on your head to create a bolder look — we love how this one brings a smattering of garden whimsy with trails of flower buds. 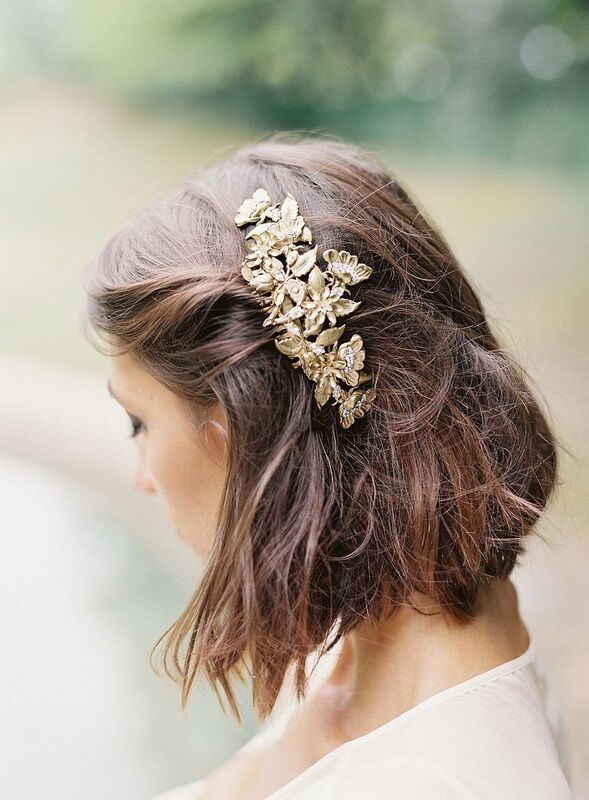 A bouncy bob of waves gets some 1920’s flair with a gilded headpiece that dazzles across the forehead. 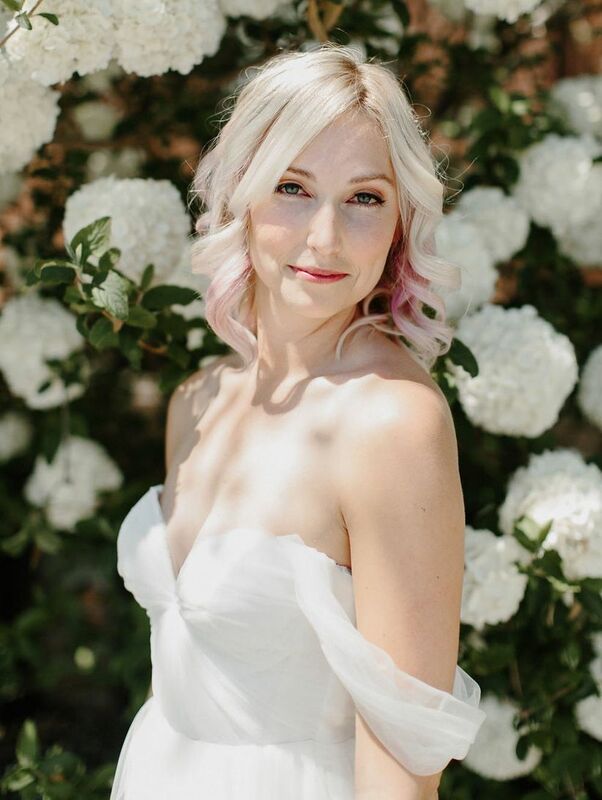 We love how loose curls emphasize the fun pink highlights in this platinum wedding hairstyle for short hair. Sometimes, your hair is best left untouched. 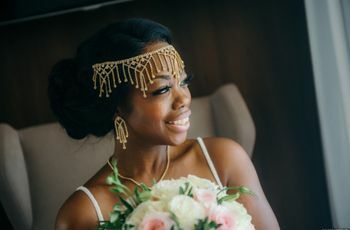 This bride’s natural hairstyle is completely her — you want to stay true to yourself on your wedding day, after all. Tousled pieces create a fresh, edgy vibe, perfectly accented by bold statement earrings and hot pink eyeliner. Beachy waves lend volume and texture to this playful bob, while a side part adds dimension. 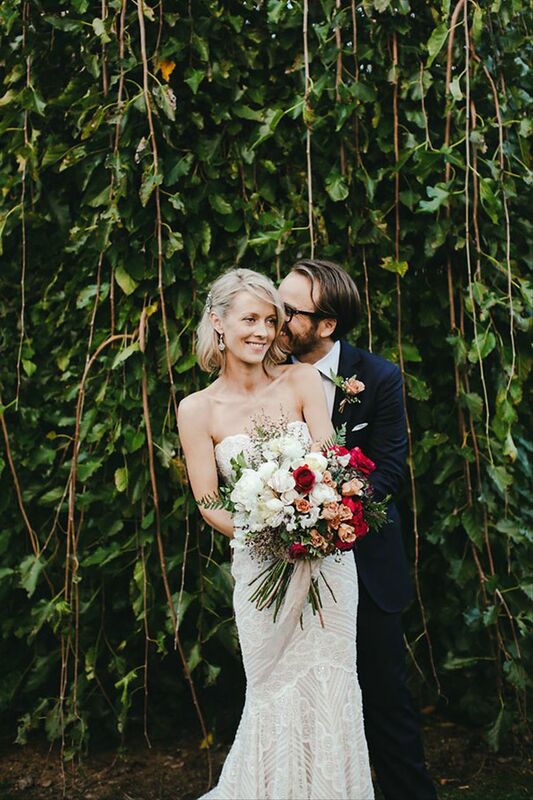 How stunning is this bride? 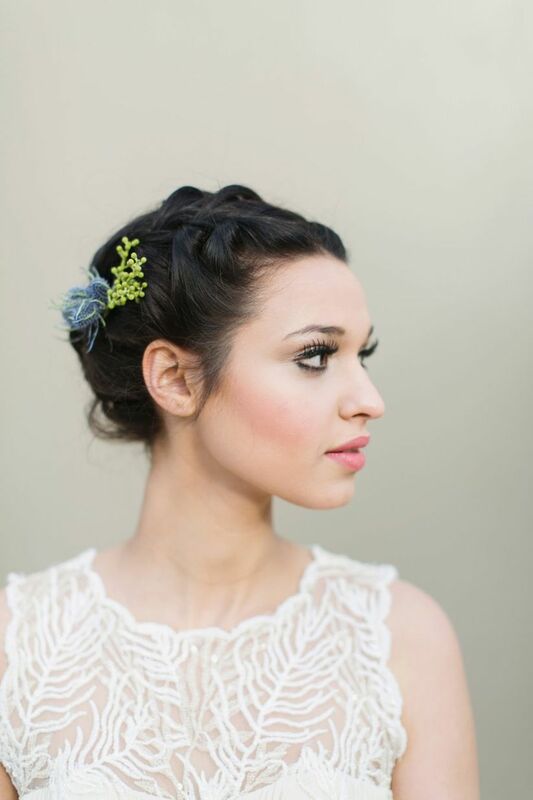 Curled tendrils frame her face in an elegant updo, complemented by sparkling drop earrings. 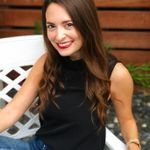 A pulled back French braid is a perfect way to style a lob out of one’s face. Accent it with a colorful accessory for a surprising twist. A chic chignon is still doable (pun intended) with short hair! 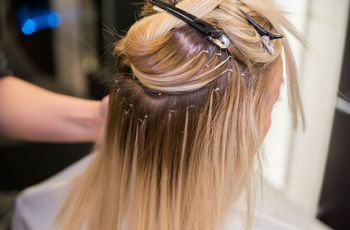 Keep the short pieces together with a jeweled clip, both functional and stylish, while letting a few tousled front pieces accent the face. 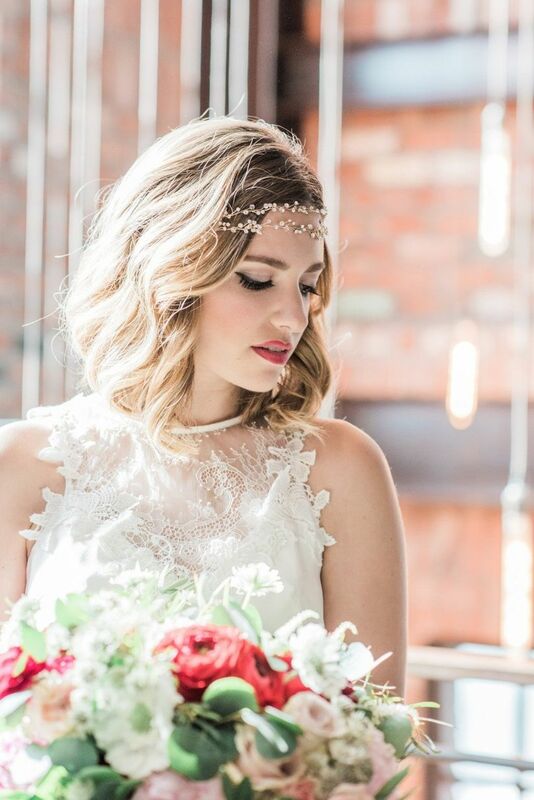 This tousled side bun is dreamy and romantic, especially when paired with red lips and a vintage headpiece. 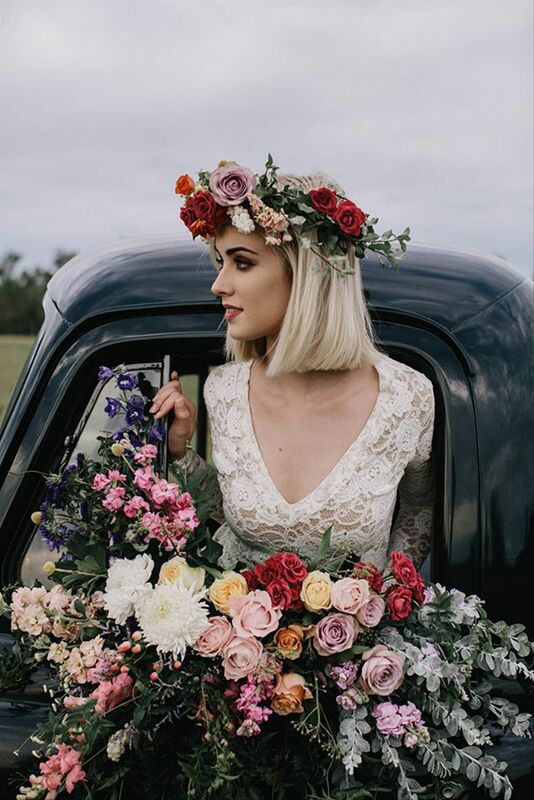 Pull back front pieces with an ornate gold barrette to add some Old World romance to a whimsical wedding hairstyle for short hair. 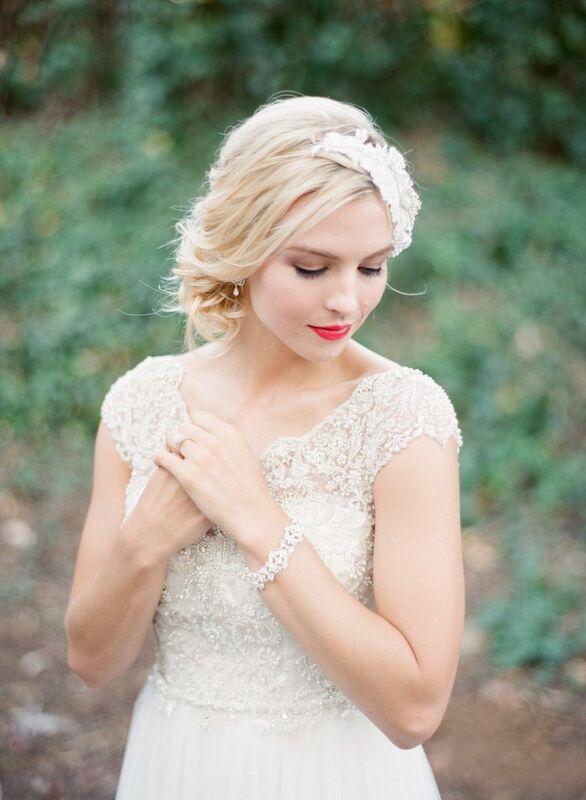 A sleek half-up style paired with a white rose and long veil is perfect for the classic bride. 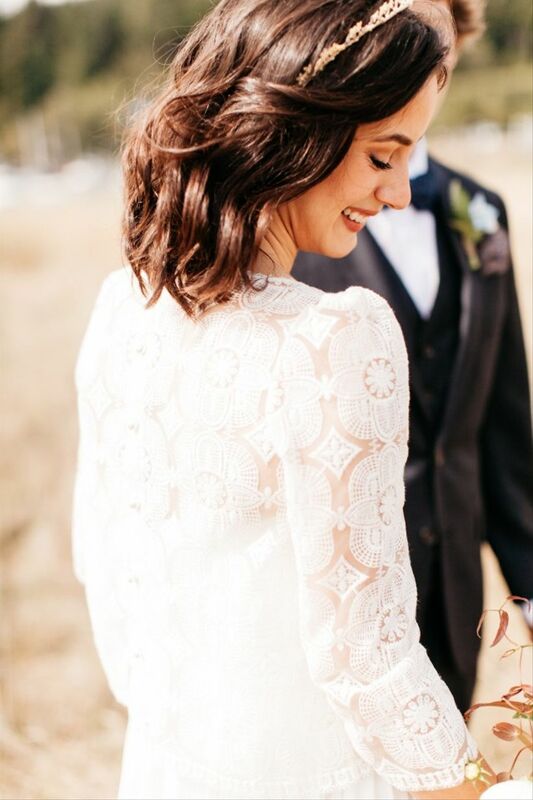 We love how this bride’s elegantly tousled waves are pulled back in a twist that mirrors a crown, creating subtle volume on top. 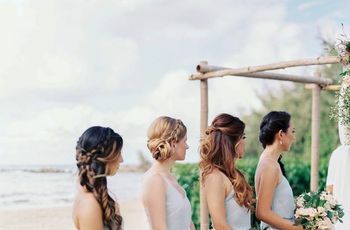 Sleek meets volume in this bride’s hairstyle. Get the half-up, half-side look by elegantly pulling back one side only to make a statement.